Reverse spiral flutes that bite down for maximum gripping power. 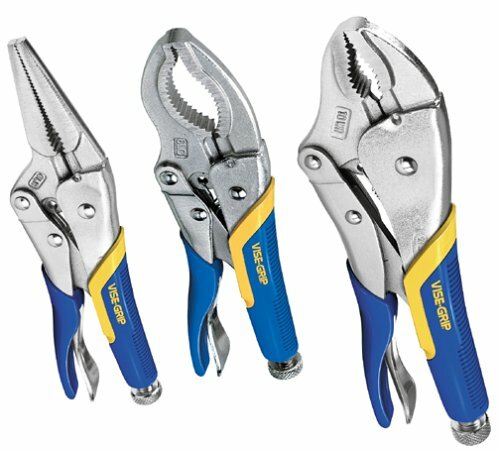 BEST tool for removing any stripped bolt! 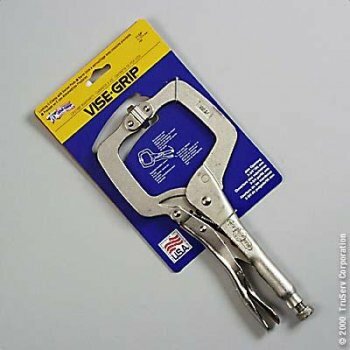 I buy every new Vise Grip product as it comes along. 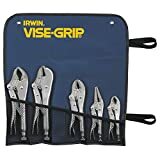 Most are outstanding additions to my tool collection, a few have have been of questionable utility but this is the first to be very hard to use (and because of that, truly unsafe). The usual release lever is gone, so if you have set the locking jaws really tightly, you won't get them loose without using another tool. The space where the release lever used to be is taken up by 2 blades and a hex drive. This doesn't leave enough room between the two plier handles. 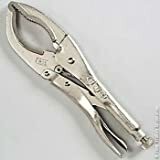 Unless you are very deliberate, one in every 3 or 4 times you lock the tool, it will pinch the meaty and very sensitive heel of your hand (OUCH!!). The blades are EXTREMELY sharp (sharp is good) and VERY tight (tight is good)... sharp AND tight is bad. The tool requires absolute attention as you use it, and for an ordinary hand tool, this seems a bit much. It takes a couple of minutes and other tools to safely deploy and store a blade. I had to buy and return 3 of these before finding one where the blade and driver lock worked correctly. Along the way there were numerous poorly installed rivits, with sharp edges showing. This "Toolbox" should have stayed in the toolbox. Nice idea but poor execution. 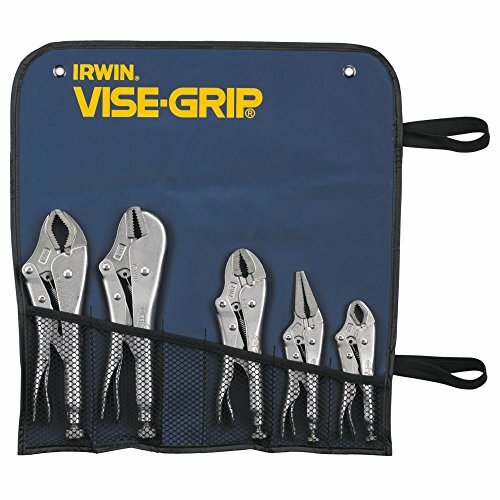 If you want this utility, carry a knife, a hex driver and a good 'ol Vise-Grip... your choice of jaw! 9" with a jaw adjustment up to 2 7/8"
These work great for any needle nose application, but the tip is a little bulkier than a non-locking plier. 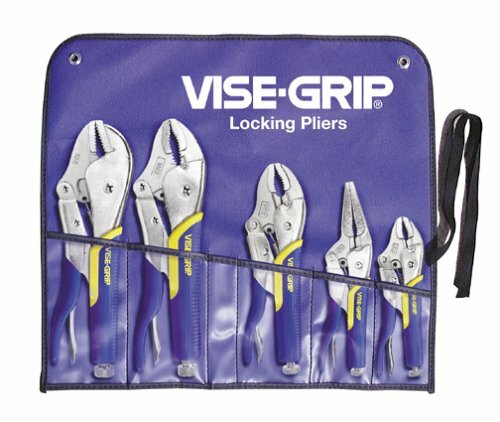 The locking mechanism is easy to operate; just grip the object with the plier and tighten of loosen the screw until the lock closes. 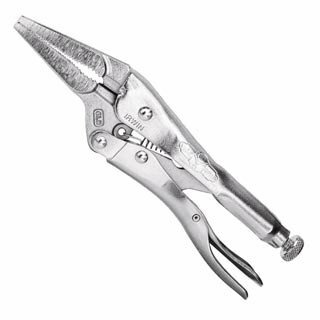 Remove the plier and tighten the screw another turn. Now, when you regrip the object and close the jaws, it will "snap" down and lock. If you are gripping a bolt end-on, rather than sideways, the jaws will flex slightly when you twist the bolt. The release lever lets the object loose with a pinch on one handle. 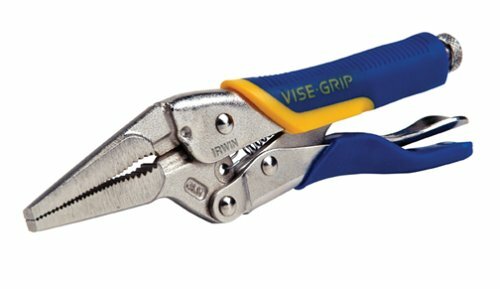 Vise-grip products are pretty sturdy and can take a lot of abuse. The sheet-metal tool is no exception. 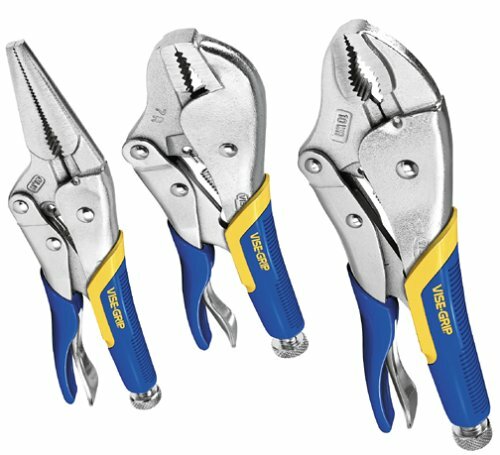 It not only will clamp and hold a wider surface area than other grips, you can use it to get a nice, crisp fold in a variety of metals. Sheets that are longer than the jaw of the tool are not a problem--you can just move the tool along and there is no buckle or fold between the placements. This size vise grip is very useful as a small pipe wrench when working with <3/4" threaded pipe. I have also used mine to turn rounded nuts that a regular wrench can no longer grip. I have used it as a welding clamp, a pipe vise (clamped in my workmate), a nail puller and a substitute faucet handle. 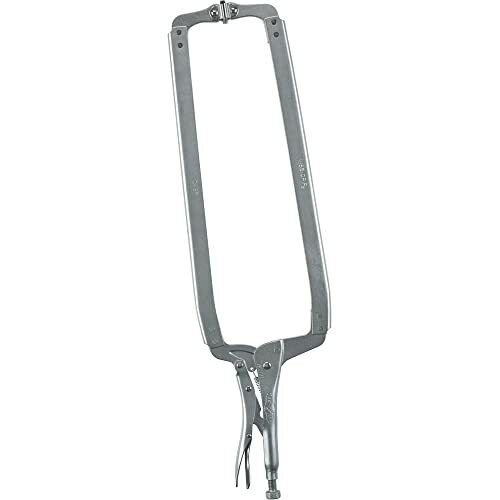 This is a durable and versatile tool that you will constantly find new uses for. It does require a second hand to activate the release if you have it screwed down really tight. 4", with a jaw adjustment range up to 1 5/8"